Silver hake is one of the most useful species of fish, the most tasty fried. There are many simple recipes which you can cook fish Hoek. As in most stores in our country this fish is available in frozen form, before frying the heck, it needs to be defrosted. In order that the fish has not lost its juiciness, it should be thawed at ambient temperatures. Accelerating the process using dip fish in hot water leads to loss of juices that are found in fish. When the fish is thawed, it is necessary to cut off the fins and remove the entrails, if any, as the quality of the production evisceration is different. Then the fish is washed and you can start its preparation. Fried fish hake can be prepared according to two recipes, which are based on flour or batter. To fry the fish in the flour, you want to cut it into pieces, then salt the fish, roll in flour and lay out on a pan where you heated the vegetable oil. If you start to fry the fish to a cold skillet, the crust is not so smooth and Golden, as the fish will start to stew, not roast. The fire must be large enough to ensure that the fish is roasted, but not burnt. When frying Hyuk turned to crust formed on all sides. For the fish is cooked enough for 15 minutes. In order to cook fried hake in batter, you should beat until smooth the egg, a tablespoon of mineral water or beer, salt and flour. The consistency of the batter should resemble thick cream. Oil is heated in a frying pan and on it are laid pieces of fish, pre-dip in the batter. If the oil is hot enough, the batter will not to grab, and spread. Fish fried on medium heat on all sides until cooked. 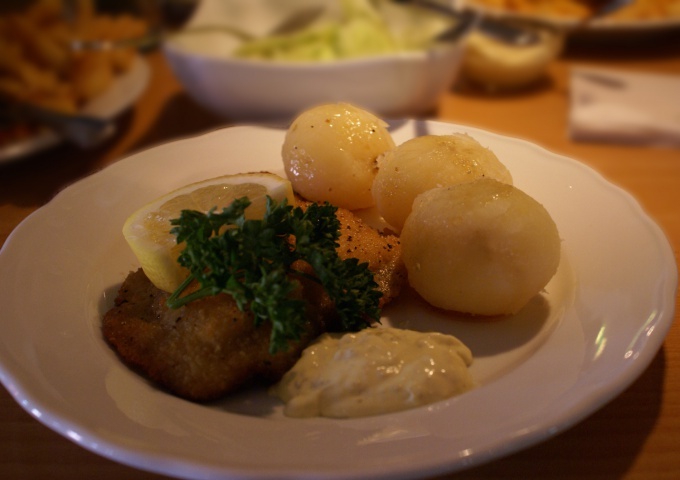 Hake contains in its composition of fatty acids, helping to prevent the development of cardiovascular disease. Protein found in fish, healthy as heck not fat, i.e., it can without fear for their figure. As a garnish for fish perfect fries.